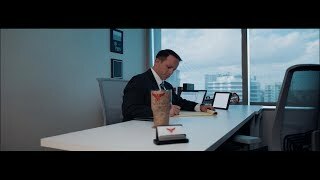 South Florida Corporate and Estate Planning Law Firm | Yolofsky Law, P.A. Whether you are looking for legal services for your business or need to write or revise a personal estate plan—or both—Yolofsky Law is your go-to firm in Broward County. We are committed to anticipating and meeting all of your estate planning and corporate legal needs and are proud to work as your trusted advisor. Our unusual fee arrangements. Strong relationships begin with open communication. At Yolofsky Law, we have eliminated the billable hour because we found it interferes with our ability to provide the best advice to our clients. Our fees are as individualized as our clients. By offering flat fees, membership pricing, and a la carte pricing for your particular need, we are able to build stronger relationships with our clients. A different kind of legal relationship. By dispensing with the billable hour, we encourage our clients to involve us in the decision-making process. Because communications are included in our pricing, we create trusting relationships with our clients and can better collaborate to find solutions to their problems. We see ourselves as consultants in your personal and professional endeavors. Our goal is to become your trusted advisor, not just a “suit” to review and rubber stamp your legal paperwork. A strong leader. A.J. Yolofsky is a former Marine Corps officer with a commitment to educating clients and helping them plan for the unforeseeable, rather than reacting to what has already gone wrong. We invite you to see the Yolofsky difference—from our distinctive approach to the lawyer-client relationship to our committed and inspirational legal team. Call us today to arrange a consultation. We look forward to meeting you! You have likely worked hard, invested prudently and saved wisely. With some goals accomplished and now perhaps a family, what is next? Download our complimentary report that details the basic foundations of Estate Planning. Use our free report to learn the basics of Estate Planning, learn and understand why you should plan for your child’s future, and understand the legal documents you will need in your estate plan. Will your business succeed you? Entrepreneurship presents numerous and constant challenges, but with hard work and dedication, comes many rewards. The one risk you should never take is leaving the future of your business to chance. Are you concerned about the future of your business? Are you worried that your children will not be taken care of if something happens to you? You know you want to build a stronger business but you don’t necessarily know how to. You want the best for your family, pets, and your business and we are here to help. At your initial consultation, we will listen to your story and outline a plan of attack if necessary. Worrying will get you nowhere; working with us to find and implement solutions could change your life. At Yolofsky Law, we want you to be a hero to your family and your business. Estate Planning. We spend time with each client, learning about their families, their goals for the future, and educating them about their options. We guide our estate planning clients throughout their lives, collaborating to revise plans as needed. You can get a piece of paper or you can have peace of mind. Corporate Law. We offer total corporate services to businesses of every size in South Florida. With diverse knowledge of all aspects of running a business, including international concerns, we see ourselves as a trusted advisor rather than just as legal counsel. When you meet with the Yolofsky Law team, you will immediately see that we are not like other South Florida law firms. A.J. Yolofsky applies the discipline and attention to detail he learned as a Marine Corps officer to your unique situation. He focuses on each client as if they are a military mission, bringing strategic planning and a commitment to success that are unmatched by other attorneys. His goal is to empower you to make the right decisions for your family and your business. Find out for yourself—schedule your initial consultation today.